Patrice Reyes is starting her junior year at the University and she's convinced it's going to be the best semester ever. For starters, it looks like this is the year her team will win the regional football (soccer, for you Yanks) championships. Her subjects are looking good, and there's even a chance she might finally get somewhere with her rock star crush. But a new classmate—arrogant, cold Math nerd ( 'nuff said)—is seriously throwing off her groove. Will she ever get rid of him and have the awesome semester she deserves? Or is there truth to never judging (Math) books by their cover? At first I had a hard time trying to get a feel of the story. There were quite a number of minor characters introduced early in the story that I felt lost at some point. But no worries though, because the story picks up quickly and you'll easily get drawn in Patrice's crazy university life. I like the authenticity of college life depicted through Patrice's eyes. Now, I may go to an all-girls college but a lot of the things that happened in this book happens in your typical Filipino university/college. No matter how chaotic Patrice's semester was, it was still believable. I also like the mix of characters. The variety of minor characters may have bothered me at first but reading more of the story showed me how important they all were in building it. College will introduce you to a diverse student body and a whole bunch of drama comes with it sometimes. Well Played showed exactly that. It was also interesting how Atienza incorporated the side stories with the main plot. I think they meshed together well and were told in a good pace. Patrice, the main character, is very likable. She's sporty and kickass but at the same time she has a softer side that I'm pretty sure a lot of college girls could relate to. I enjoyed her interactions with Lars and Paul. She was very different with both boys. She was very judgmental of Paul at first and I kind of hated her for it, but really, I can't blame her. Paul was shady and Lars had a way of charming people. The two boys were complete opposites and it was easy to pass judgment. I liked how Patrice somehow changed as she learned more about both boys. The love story's predictable but enjoyable nonetheless. Feels inducing, I swear. The last line, especially. I just wish this was longer though. Books like this should be longer. *wink wink* Well Played is a great read for Filipina girls who are up for a light romance and lots of crazy college fun. 4 pink stars! 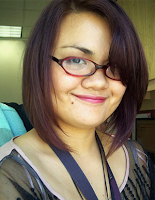 Katrina Ramos Atienza, born and bred in Manila, Philippines, has been writing all her life. She's worked in the fields of PR and corporate communications while blogging, freelancing and writing fiction. Four chick lit novels (Pink Shoes, 2006; The Hagette, 2006; If the Shoe Fits, 2008 and Shoes Off, 2010) are available in paperback in the Philippines, while her earlier short fiction works have been published in Philippine publications and collected in the Growing Up Filipino II anthology. 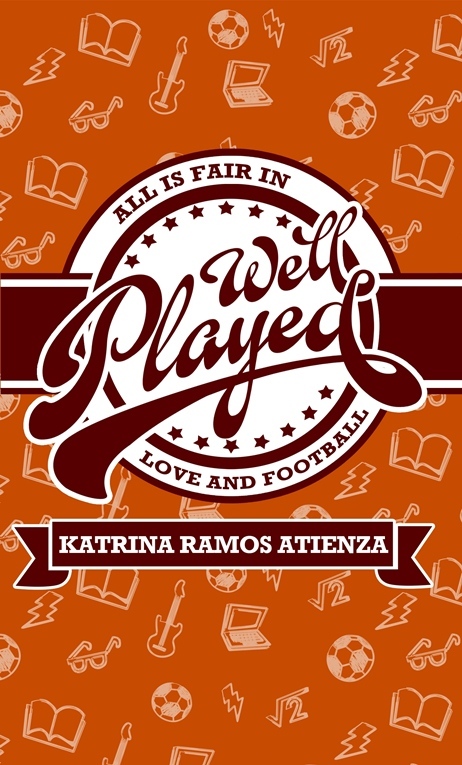 Well Played (2013) is her first independently published novel. She graduated from the University of the Philippines at Los Baños and is married with two kids. 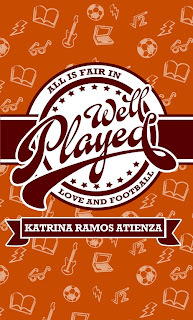 3 Swag Bags (from Author Katrina Ramos Atienza) containing 1 medium, gray Well Played shirt + 2 Pride & Prejudice Bookmarks + Think Free Bag Tag! 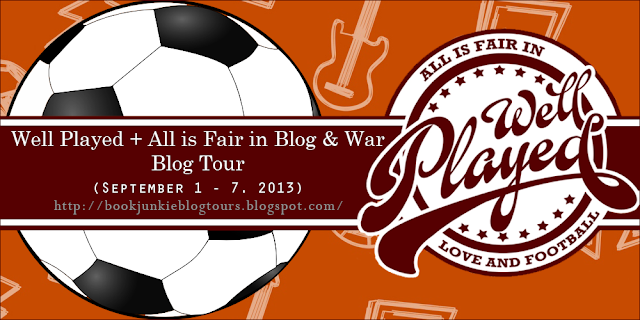 3 Swag Bags (From Author Chrissie Peria) containing 1 paperback copy of All's Fair in Blog & War, 1 unique trinket, 1 pocket journal, ebook voucher, postcard and bookmarks! Great to hear that there's a story geared towards Filipinos! And with the college experience as well. I'm envious of everyone who gets to enter the competition too :) Thanks for sharing Sab! I'd love to read a book written by a Filipino author! Great review and I am now left wanting to read it for the FEELS. Hee.